Today’s food has become more complicated than ever and the food choices you make reflect on the health and shape of your body and mind. Once the food in your life is balanced, you will never have to think about dieting again. A personal approach in nutrition counseling has proven to be the most effective way to reach your objectives faster and maintain the results for life. A tailored program to fit your lifestyle and individual needs. Optimize your digestive system and boost your metabolism. You will learn to make the correct food choices once, and never struggle with weight again. Equip yourself with an individualized meal plan to maximize your training results. Improve your energy levels, prolong endurance, and safely speed up your muscle building efforts. Therapeutic diet and symptom management for high cholesterol, diabetes, high blood pressure, hearth disease, cancer, renal disease or gastrointestinal disorders (GERD, reflux, etc). Detailed diet analysis to ensure complete daily nutrition. Adapt to a balanced vegetarian or vegan diet adequate in essential nutrients such as protein, iron, calcium, and Vitamin B12. Learn about diverse and delicious alternatives to meats and animal products. Develop or improve your family eating habits to promote a healthier lifestyle for everyone involved. 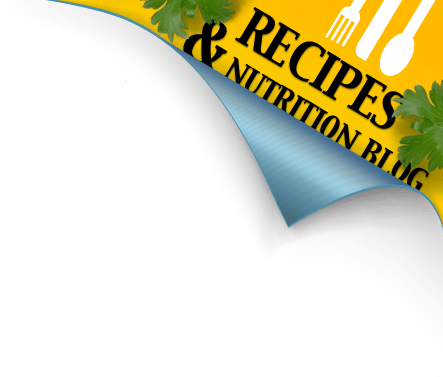 A specialized meal plan or guidelines for any dynamic family, including baby, toddler, child, and teen nutrition. Learn nutrition essentials for growth and development to ensure your kids reach their full potential. Allergies or intolerances often make it very difficult to have a healthy and complete diet. Learn how to eliminate the allergens while making substitutions to ensure a delicious and varied diet. Optimize your nutrition to promote the healthiest baby possible! One-on-one coaching will guide you through your pregnancy and lactation periods. Ensure the best start for your baby by focusing on complete nutrition for yourself, dealing with weight gain issues, anemias or gestational diabetes. Get a personal guide for your baby’s nutrition needs — everything from breastfeeding or formula choice, to progression onto solid foods. Learn how to lose the baby weight quickly and safely while taking care of your newborn! Detox diets have been around for a very long time in human history so it’s no surprise that various detox diets have gained so much popularity in the recent few decades. The body needs to detoxify and cleanse itself to function at optimal levels. Most chronic illnesses such as diabetes, arthritis, cancer, heart disease, liver and kidney disease can be attributed to accumulation of unwanted substances in the body. It was refreshing to talk about the common issues we deal with as parents and to get a professional opinion on building healthy eating habits. I’m feeling well-armed with info and more confident about what I’m doing as a parent! Olya was a great speaker too — she handled the questions really well. Seminars available upon request on numerous nutrition and health topics. Perfect option for group or corporate nutrition sessions to improve your employee’s health, as well as for schools and senior living/community centres. Seminars can be formal (powerpoint presentation) or informal (roundtable discussions), and ALWAYS tailored to your audience to promote the best results. Copyright © 2010 — 2019 YourDietitian.ca. All rights reserved. Development by Design Studio VENGA Information Technologies.